Choctaw is a family-oriented rural city that is located in central Oklahoma. Once home of the author known as Louis L'Amour, this is a blossoming community that offers peaceful living. Furthermore, with its close proximity to Tinker AFB and Oklahoma City, residents of Choctaw & Nicoma Park enjoy an abundance of job possibilities. Despite its name, the city of Choctaw has no ties to the Choctaw Indian tribes. It was first settled in 1889 when a man by the name of John Muzzy claimed a tract of land in the area. Soon after this, a small community emerged and was given full status as an Oklahoma town in the year 1893. In 1904, the town was incorporated, and by 1907, there were just over 240 people and a handful of small businesses in the area. Today, Choctaw is primarily an agricultural community where you will find a friendly atmosphere, several small and large businesses, and a number of fun attractions. Choctaw properties are close to several parks that offer space for playing, picnicking and sports. One of the most popular of these parks is Choctaw Creek Park located on Harper Road between 10th and 23rd streets. Features of this park include walking trails, a fishing pond, a playground, picnic tables and clean restrooms. Another favorite park among residents of Choctaw real estate is Ten acre Lake Park, which is located on 10th Street. Here, you will find a play area, a fishing lake, picnic tables and a soccer field. Other parks you will want to visit in Choctaw are Optimist Park on Northeast 10th Street and Lloyd Williamson Park on Dean Street. One of the best benefits of buying real estate in Choctaw is that you will be close to many great attractions. If you are looking for fun family-friendly activities, be sure to visit such attractions as the Oklahoma City Zoo, Frontier City and Mabees KidTown U.S.A. Looking for a place to golf? Come on down to Choctaw Creek Golf Course. If you are intrigued by history and culture, you will enjoy exploring Overholser Mansion, the Oklahoma Air Space Museum and the National Cowboy & Western Heritage Museum. If you love nature, Choctaw homes for sale are also close to such nature-oriented attractions as the Myriad Botanical Gardens and Little River State Park. When you choose to become a Choctaw home buyer, you can enjoy attending a variety of annual events held by the city during the year. One such event is Choctaw's Oktoberfest, which takes place in Choctaw Creek Park. Highlights of the Oktoberfest include German food, live entertainment, dancing, a kids park and German Beer. Another event that you will have access to as a Choctaw home buyer is Choctaw's Christmas in the Plaza. This celebration takes place on Choctaw Plaza and features such things as crafts for kids, magic shows, Santa and storytellers. Other annual events in Choctaw include the City's annual Easter Egg Hunt, Haunted Trails and the Choctaw Land Run. There are many terrific benefits that people can derive from purchasing homes for sale in Choctaw. Not only is this a quiet community, but there are plenty of things to do here as well. 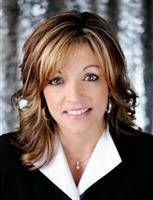 Give Karen King a call now and make an appointment to view available Choctaw properties. 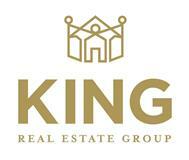 Let Karen King help you find your ideal home today!